This is a rough guide only. It can’t distinguish whether weight’s fat or muscle so it doesn’t take body type into account. 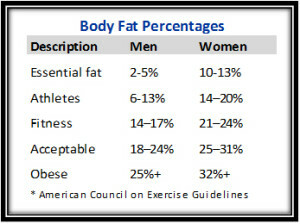 If you’d like a more comprehensive body composition analysis contact Kyle Rogers Fitness.